"THE EARTH BROKE OPEN CAUSE WE BROKE IT OPEN," blares the first line of this enrapturing debut collection mapping the myth of Narcissus and Echo and the Iron Range roots of Bob Dylan onto a world growing increasingly self-obsessed. Against the backdrop of the mining town of Hibbing, Minnesota, Brian Laidlaw examines the ways narcissism has flooded culture. 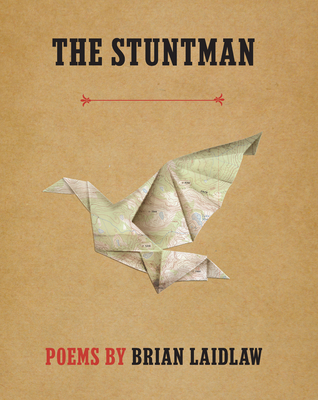 Much like a "hawk has a horizontal sweet spot on its retina / for spotting prey on the prairie," the speaker of these poems "has a narcissus / shaped sweet spot / all the better to spot himself." The volume comes combined with a brand new LP from Laidlaw produced by Brett Bullion, co-arranged by Hibbing native Danny Vitali, and featuring members of The Pines and Halloween, Alaska. Expanding on the themes addressed in Narcissus the Stuntman, the album provides listeners an innovative multimedia experience.